Spent this morning at the BT (Post Office) Tower in London being briefed about the plans for migration of old 20CN voice circuits to 21CN. The BT Pathfinder Project has been running in two telephone exchanges in Cardiff since July 2008. Pathfinder is the test bed for running traditional voice services over BT’s 21CN network. The current project has seen 75,000 POTS (Plain Old Telephony Service) circuits moved from their old Digital Local Exchange (DLE) connections to 21CN Multi Service Access Nodes (MSANs). The process isn’t straightforward. In the first instance BT has had to conduct large scale testing (£150m worth) on hundreds of different bits of customer premises equipment that connect to phone lines – phone systems, alarm systems etc. Kit that doesn’t work on MSANs has to be identified so that customer lines that have this kit plugged in at the other end do not get migrated to 21CN. The rule of thumb is apparently that 10% of exchange lines will not be migrated to 21CN because of it. The trial has been slow going. The pace is being stepped up with a further 275,000 lines planned for migration between June 2010 and January 2011. 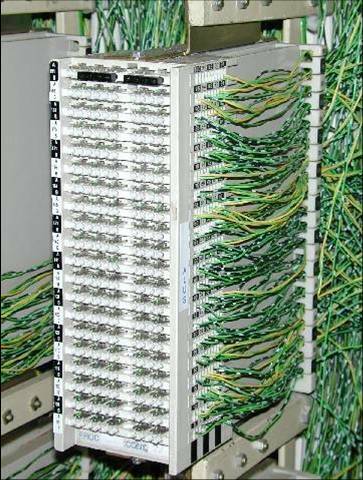 This will give BT the experience of switching over whole telephone exchanges in one go. The next step will then be to extend the trial to the migration of ISDN circuits as well as POTS in the Thamesmead and Redditch areas. There are no timescales for this at the moment. Why so slow you ask? Due to economic circumstances BT has taken a strategic decision to delay the full implementation of 21CN until 2020! I guess I can understand this especially when you consider that the migration will offer no perceived benefit to the customer. A phone line on 21CN will look identical to one on 20CN. The delay in spending the money on the rollout does come with risks. What BT doesn’t know is when the current estate of SystemX and AXE10 exchanges will start becoming unreliable. Electronic equipment follows what is known as the bathtub curve of reliability. If a bit of kit is going to fail it does so either early on in its deployment or after a very long time in use. The carrier is watching its reliability statistics on a month by month basis to check for signs of the network climbing the sides of the bath again. If this starts to happen then BT can rush through a programme of exchange migrations – hence the Pathfinder Project. There is a scenario where specific exchanges could be moved over to 21CN in order to provide spares for the rest of the 20CN network. In the meantime we will be getting in touch with customers in the Cardiff area to let them know what’s coming and to check out their equipment compatibility. Readers should not get the wrong idea about 21CN. There are plenty of services that are based on it – ADSL2+, FTTC,FTTP, EFM, metro Ethernet to name but a few – you will have to Google the acronyms if you don’t know what they stand for. The mobile networks are also apparently using the 21CN infrastructure for backhaul to the tune of £750m a year. Because I know you’re interested the photo below is of a JT47 Transfer Connection Point (TCP) Shoe used to make bulk migrations to 21CN voice easier in the exchange 🙂 . BT Chairman has Only Broadband Service in the Village!